It has not been quite a month since sherwood yarn went live and I became the new indie-dyer on the block. I cannot begin to tell you how hectic my life has just become, managing family life, with my three young children, with starting a business that I am passionate about. I am humbled by the support that I have received so far, particularly on Ravelry and other social media - thank you! 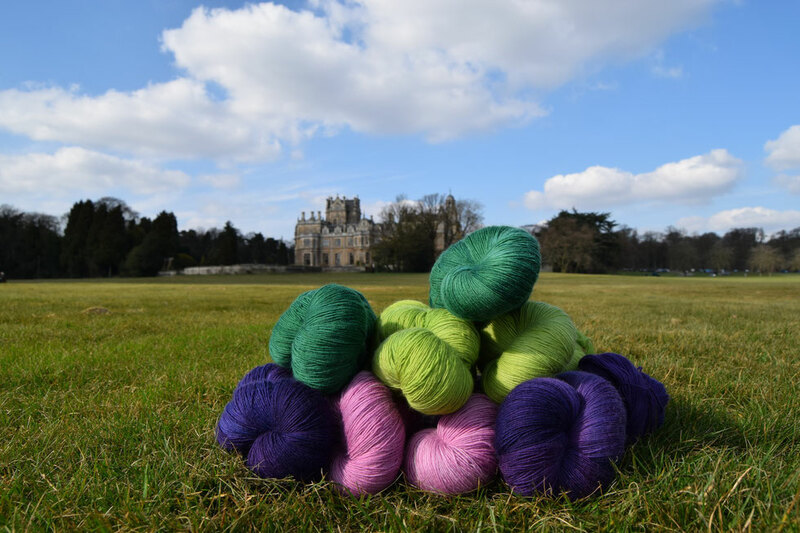 I have been adding new ranges of yarns to the store, new arrivals include 100% laceweight fine Falkland merino in Lionheart, Lyncolne Grene, Blackberry, Bramley apple and Wild orchid. I will definitely be adding a light-weight shawl or wrap to my wardrobe for those cool, early summer evenings. I leave you with a photograph of these new colourways, in the landscape that was so inspirational in their inception! Thank you. I can't wait to see what you make with it! Please post pictures.